Our instrument rentals are convenient for musicians in the Menlo Park, Palo Alto, and Redwood City area. 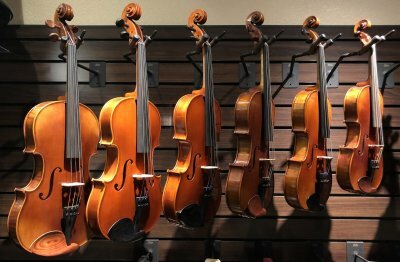 Whether your student is trying an instrument for the first time, or needs to rent an instrument for the school year, our music store offers just what you need. When you rent an instrument from our store, you receive a quality instrument — Yamaha, Pearl, Fox Renard, Scott Cao, to name a few — that has been inspected by our expert technicians. Normal wear and tear maintenance is covered under contract. Payments are made on a monthly basis, and you can return the instrument at any time. Stop in and see us about your instrument rental needs; our prices are affordable and our staff is friendly, so rest assured, we'd be happy to help.